The name is more complicated than the shape: L-triomino. The shape is simply three squares forming an L. And it’s a rep-tile — it can be divided into four smaller copies of itself. But those fractals don’t exhaust the possibilities of this very simple shape. The standard L-triomino doesn’t have true chirality. That is, it doesn’t come in left- and right-handed forms related by mirror-reflection. But if you number its corners for the purposes of sub-division, you can treat it as though it comes in two distinct orientations. And when the orientations are different in the different sub-copies, new fractals appear. You can also delay the stage at which you discard the first sub-copy. For example, you can divide the L-triomino into four sub-copies, then divide each sub-copy into four more sub-copies, and only then begin discarding. Muerto, no faltarán manos piadosas que me tiren por la baranda; mi sepultura será el aire insondable; mi cuerpo se hundirá largamente y se corromperá y disolverá en el viento engendrado por la caída, que es infinita. — «La biblioteca de Babel» (1941), Jorge Luis Borges (1899–1986). 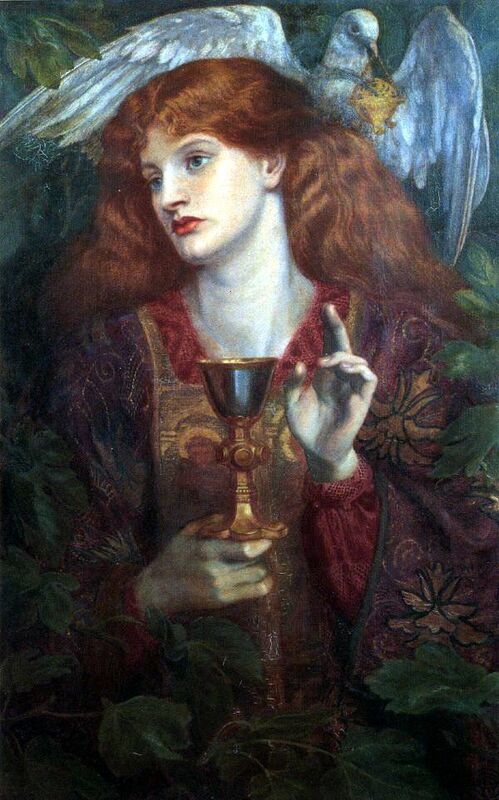 When I die, there shall be no lack of pious hands to cast me over the railing; my grave shall be the fathomless air; my body shall fall for ever and rot and dissolve in the wind generated by the fall, which is everlasting. — “The Library of Babel”, Jorge Luis Borges. 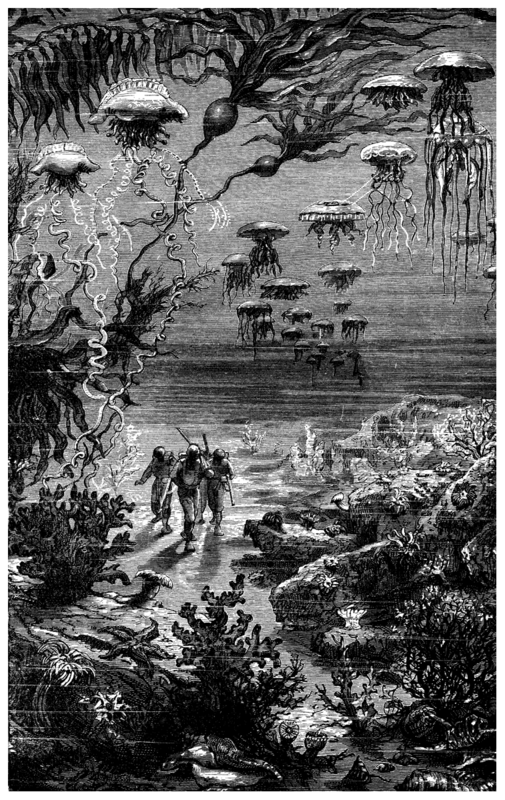 I like this illustration of a scene in Jules Vernes’s Twenty Thousand Leagues Under the Sea (1870) even more because it has at least one mistake in it. At least, I think it’s a mistake: the jellyfish on the upper left are two Portuguese men-o’-war (really colonial hydrozoans, not jellyfish). They have gas-filled float-bladders, so in reality you see them only on the surface, not hanging in midwater like that. The mistake makes the scene like a dream. The absence of colour is good too: it fixes the illustration firmly in the past and the colours you imagine are more vivid. The artist is imagining, dreaming, conjuring a vision of an oneiric ocean. I assume that, for any base b > 2, you can find some point in the digit-line at which d = 0 for all bases 2 to b. Indeed, I assume that this happens infinitely often. But I don’t know any short-cut for finding the first digit at which this occurs.